Meantime submissions come to me and then I add them to a spreadsheet then send to Spotify once a week. Joe, That is right as selling something is not the reason for the show. It is a show about helping you be a better podcaster and making a person to person connection. Plus this show is a feedback pathway on how you think we can improve the Spreaker platform. 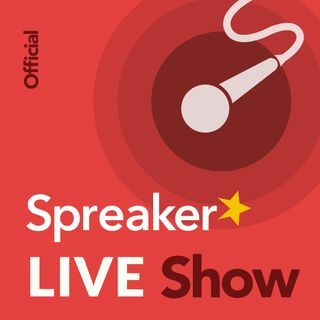 Im a recent switch to spreaker, and i thoroughly enjoy this show, i like the balance of hearing my host representative” and also the objectivy of two seasoned podcasters. I like knowing whats going on in podcasting and Spreaker on particular, but i never feel like you guys are trying to sell me something. Thank you for listening to our LIVE Show today!